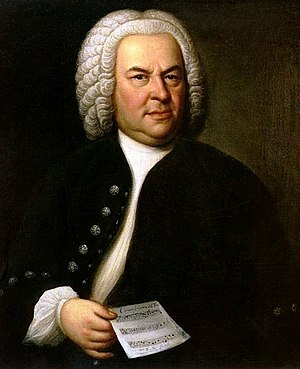 What I’ve discovered is that Johann Sebastian Bach, the greatest composer that has ever lived, was in fact, a fraud. I discovered a journal written by Maria Bach, Johann Sebastian’s wife, that contained a “tell all” entry that claimed she was in fact the person who wrote all of his compositions. She wrote that she had received advice from Fair Lady Polos that her compositions were brilliant, but would never get played because she was female. She was instead advised to marry a musician, and give her compositions to him. She found a musical second cousin, and approached him with her compositions. Johann Sebastian agreed that they were far better than his, and agreed to put his name on them to get them performed. This discovery is detailed fully in my e-book that is to be published later today, at the cost of $32.3, or you can buy my full research, including copies of all discovered texts, and analysis of Maria and Johann Sebastian’s handwriting and manuscripts for $153. This was an April Fool’s Day post. There are three clues in the body of this post that give it away. First one to leave a comment with all three clues will win one of my J.S. Bach CD’s that I own. Hey, no-one else has responded yet! JS was publishing compositions both before and well after the death of his first wife, so it is very unlikely that those were hers. Additionally, I recall that JS dictated his final composition from his bed while he was blind, *long* after MB’s death, making it even more unlikely that he was publishing MB’s works posthumously. “I’ve been researching something groundbreaking that will change our idea of music forever” — One female composer writing under a pseudonymn is unlikely to change our idea of music forever. “I discovered a journal written by Maria Bach, Johann Sebastian’s wife” — MB was only JS’s *first* wife. “She wrote that she had received advice from Fair Lady Polos that her compositions were brilliant” — As far as I can tell, “Fair Lady Polos” never existed, and in any case that is not a very German name (it would have been Palle). The cost of your research is odd enough to arouse suspicion. Books and eBooks tend to have predictable prices, though I’m not sure what the significance of those numbers you picked are. Well Done Isha. You’ve got where the three clues are, though not the actual reasons. It’s been a while, but I’ll see if I can remember them all. Fair Lady Polos is an Anagram of April Fools Day. Next Next post: Do Parents beliefs equal your own?